In the current coal preparation industry, vibrating screens are very widely used screening equipment. 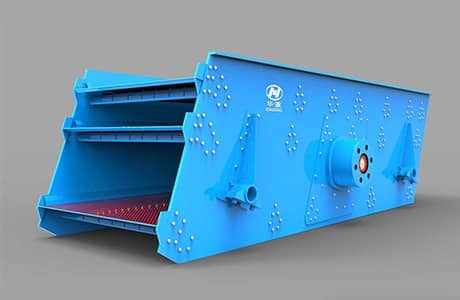 After the vibrating screen is operated for a long time, problems such as cracks in the beam, secondary beams, and cracks in the side plates are liable to occur. The reason is mainly due to the torsional vibration of the sieve, the internal stress and the metal fatigue, breaking open little by little, and being affected by the impact vibration on the other hand. 1. The vibrating screen equipment is not placed on a horizontal surface. If the screen surface is not horizontal, the working surface of the support frame can be adjusted in the same horizontal plane by the method of the steel plate. The error requirement is not more than 1.5mm. 2. The vibration of each vibration isolation spring of the vibrating screen should be uniform and the compression amount is the same. If there is a difference in height and is not vertical, the spring should be replaced in time to ensure that the error does not exceed 5mm. 3. The angle between the eccentric mass and the weight of the hammer is inconsistent, resulting in uneven excitation force. Mainly when the vibration exciter is inspected, the position of the two gears meshing is not correct, causing the position of the eccentric mass of the two exciters to be inconsistent. When the angle of the joint of the two exciters appears at an angle, the vibrating screen will be torsional. Therefore, each time the shaker is repaired, it is necessary to measure whether the angles of the eccentric blocks of the two exciters are consistent. 4. Check if the drive shaft is level and whether there is a phase difference. During the use of the screen, the intermediate shaft transmits torque, which will be distorted. If the phase angle error of the intermediate drive shaft exceeds 1 degree, the drive shaft should be replaced in time. 1) If the secondary beam is loosely cracked, the beam is subjected to an abnormal impact force. This impact force causes great damage to the beam. Therefore, a considerable part of the beam is broken due to the secondary beam. The maintenance of sieve plate and secondary beam should be strengthened daily to prevent further expansion of accidents. 2) The material drop is large, long-term impact, especially for the blank of the blanking point. The feed conditions should be changed to prevent excessive impact. Previous Article：What is the Different between Single Cylinder Cone Crusher and Multi-Cylinder Cone Crusher? Next Article: How to choose the Type of Cone Crusher?